Over the last decade we have seen medicine and drugs become much more widely available to the public with doctors offering prescriptions more and more. This is due to several factors such as an improved pharmaceutical industry spending more on research and development, but also the cultural acceptance of prescribed drugs among adults to cope with physical and mental issues. When storing medicines in the home, a very common storage place is the bathroom mainly due to the sheer convenience of having your medical supplies there. Unfortunately many drugs do have dangerous side effects if ingested by others (especially children). Moreover there is a quality of product to think about as well and by that we mean a bathroom can get very hot and also very moist, which can ultimately compromise the quality of the medicine, drug or pill. The most logical and common solution to this problem is to look at buying a secure drug safe or medicine safe for your medical supplies. The investment into a secure safe like this is perfect for peace of mind and also ensuring the safety of others. 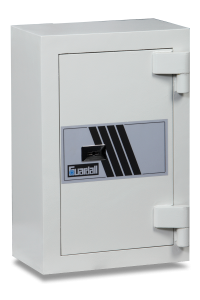 There are some very good quality drug safes on the market and Guardall does have an excellent selection that are perfect for work environments such as hospitals, offices and commercial premises. We also have a selection of quality drug safes that are ideal for the home. – If children are in the home, then it is absolutely essential all medicines, drugs and pills are securely stored in a drugs safe. – It is recommended to keep drugs prescribed by your doctor in the original packaging. – Make sure that all drugs stored are in date and replaced when needed. – Ensure that your locked drug safe have several sets of keys located securely and near-by in case emergency access to the safe is required. While a drug safe is the way to go when storing drugs and medicines in the home. If you already have a home safe, then this can suffice for both the security from others and also protecting the quality of the drugs and medicines as well.